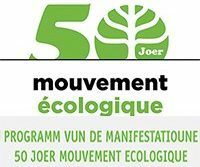 Mouvement écologique » A voller Bléi! Maacht Äre Gaart a Balkon zu engem Paradäis fir eis Beien! Home / / A voller Bléi! Maacht Äre Gaart a Balkon zu engem Paradäis fir eis Beien! 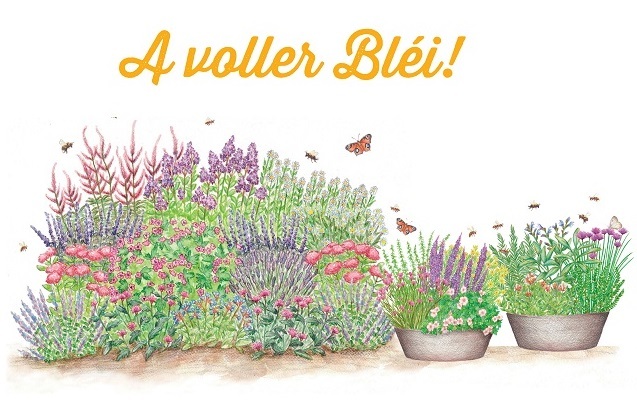 A voller Bléi! Maacht Äre Gaart a Balkon zu engem Paradäis fir eis Beien! Vielen Dank für Ihre Interesse an der Aktion „A voller Bléi! Äre Gaart a Balkon: e Paradäis fir eis Beien“. Machen Sie mit und pflanzen Sie bei sich zu Hause auf dem Balkon oder im Garten bienenfreundliche Blumen und Kräuter. So helfen Sie Bienen, Hummeln und auch Schmetterlingen über die gesamte Saison genug zu essen zu finden. Vielen Dank für Ihre Engagement. Le descriptif de l’action en français, c’est par ici! In full bloom! Turn your garden and balcony into a bee’s paradise! Contribute actively to preserving bees and butterflies by setting up a gourmet paradise in your garden or on your balcony, with bee-friendly flowers and herbs for our small winged friends. 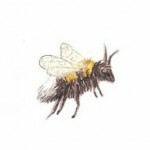 Ensure in this way that the bees have sufficient food for the whole season. Bees are very important, vital animals: honey and wild bees pollinate approximately two thirds of our crop plants, such as fruit trees for instance, and help us to preserve the wide variety of plants (biodiversity). Therefore: Join us in helping bees to find enough food, by planting bee-friendly plants in your garden or on your balcony! We have picked out several especially bee-friendly perennials and herbs for you and have compiled sets with concrete recommendations for the garden or balcony. Select your favourite set or individual plants according to the chosen location for the plant growth and contact one of our partner stores (see link), where you can buy most of all these plants and benefit from further advice and assistance. Our flyer containing all important informations is available as download!